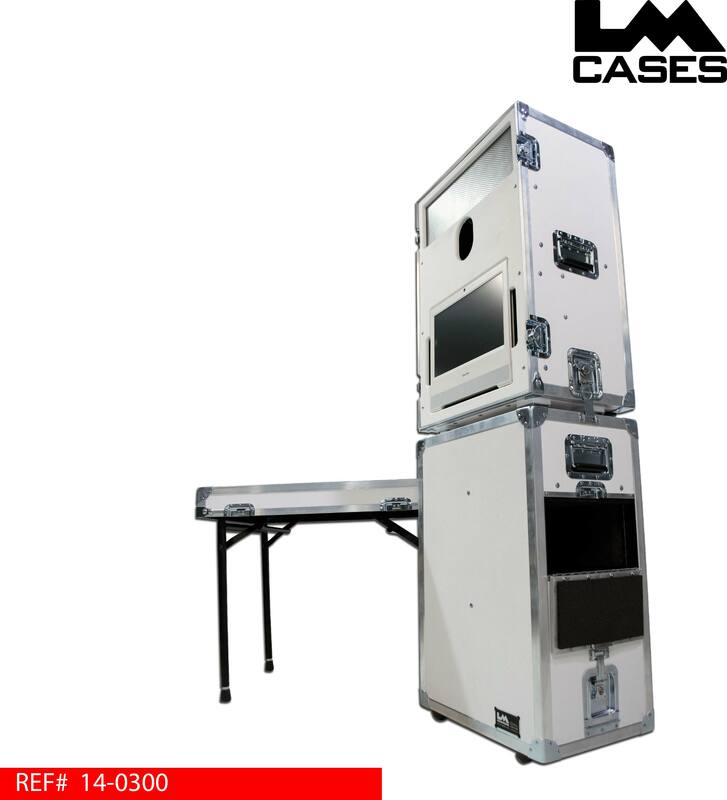 This system was designed for Wenning Entertainment as a complete modular photo booth system. 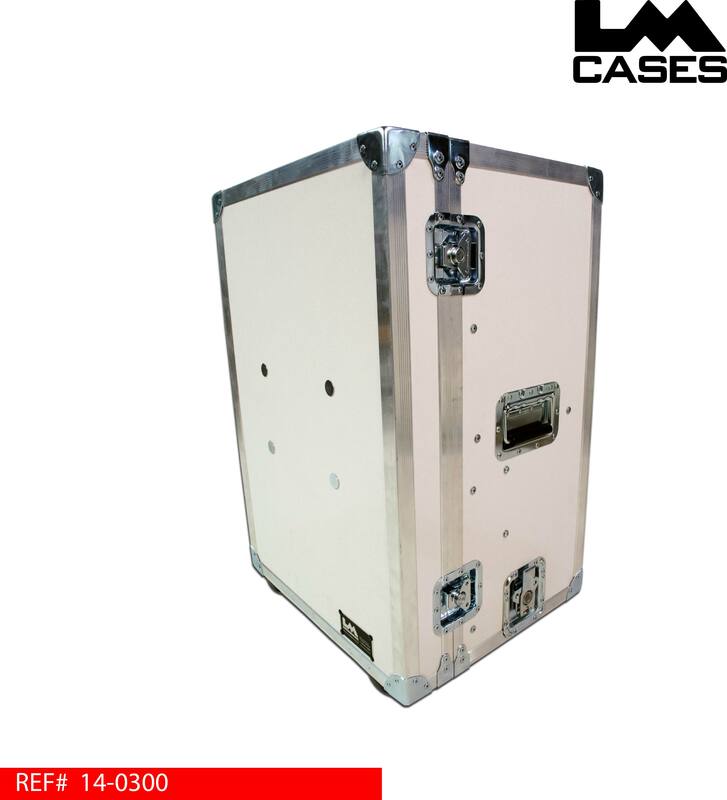 The system is compromised of 2 parts: a top case that holds the camera, lights and computer; and a bottom accessory case that holds the printer, paper, extension cords and replacement ink. 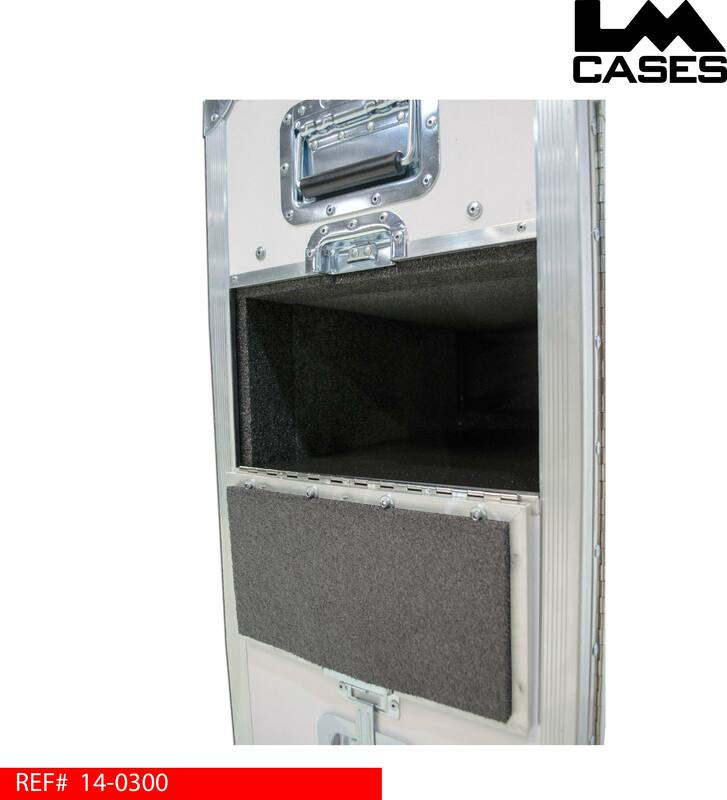 The top case holds the lights, camera, and monitor via custom fabricated mounts. A white marine grade plastic front fascia covers all the mechanical connections and provides a clean look for customers to see. The case's front lid is removable and features adjustable table lids to add in the functionality of the case. 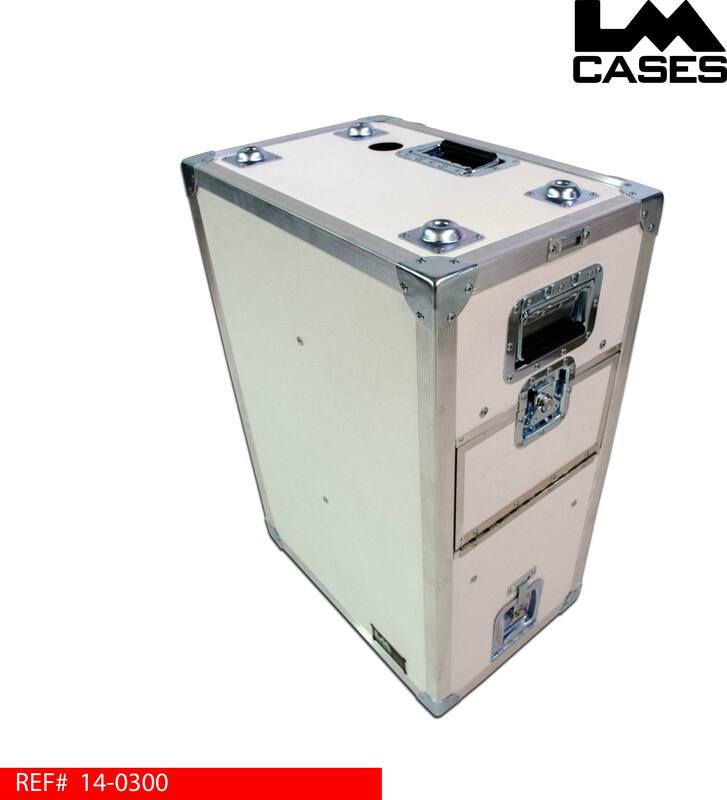 The bottom case and top case stack with each other using mating feet and cups. The cases feature a cable passage between them for connection that cant be seen by the customers. 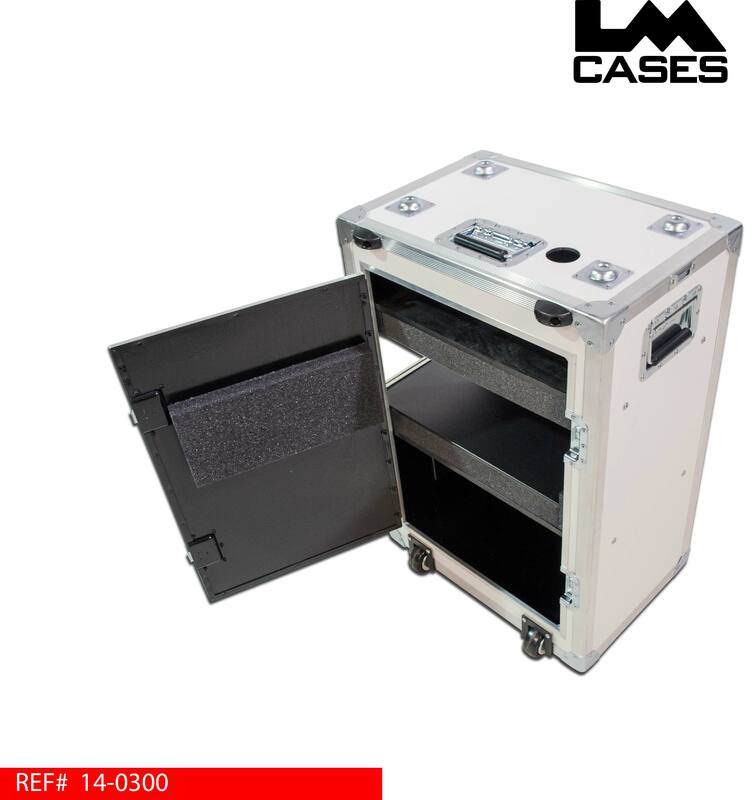 The printer is held in a custom foam lined compartment that allows printed pictured to be ejected through a trap door in the side of the case. 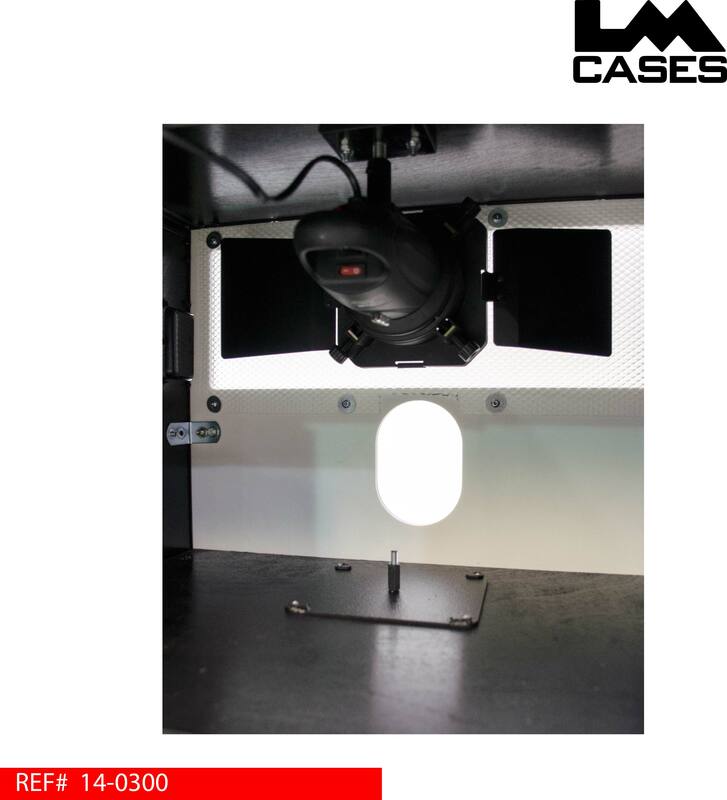 In addition to the printer compartment, the case features a black painted interior and storage shelves. 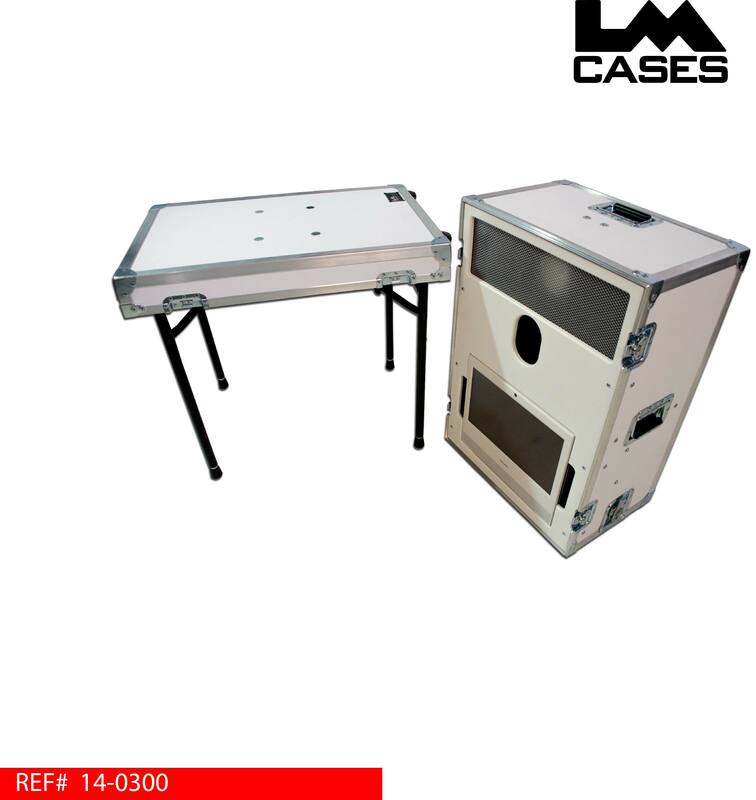 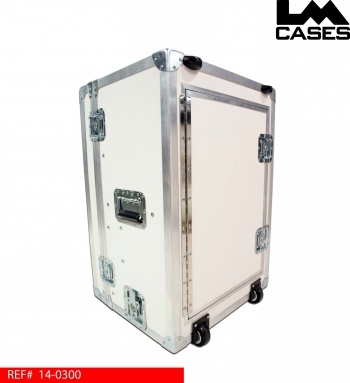 Each case is built from 1/4" plywood laminated with white ABS plastic and 3" inboard dolly casters. Special thanks to Wenning Entertainment for a great project!